A man featured on the MTV show "Catfish" is facing up to 20 years if convicted of calling in threats against D.C. Metro stations, buses and trains. Investigators say Jerez Nehemiah Stone-Coleman called 911 on 11 occasions between Dec. 12, 2014 and May 12 to report specific threats against the Metro system, including bomb threats and hostage situations. Authorities say the caller appeared to use "a false British accent" at times. Stone-Coleman, AKA Kidd Cole, was on the MTV show "Catfish" last year. On Thursday, he appeared in court and was ordered held pending a hearing June 2. Stone-Coleman, 20, is charged with knowingly conveying false information concerning an attempt or alleged attempt to engage in terrorist attacks or other violence against mass transportation systems. In one such case, a caller reported that people from France had told him they planned to ambush President Barack Obama's motorcade and assassinate him. The caller also said the same people had placed bombs around the Potomac Avenue Metro station, and that they planned to kill a police officer. 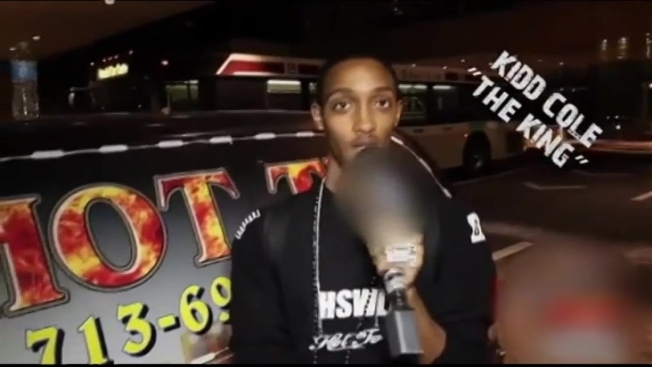 Jan. 22, 2015 -- A caller said he and his friends were planning to take hostages on Metrobus 6149 and would kill riders if they weren't paid a $15 million ransom. The calls prompted emergency responses by Metro Transit Police and other law enforcement agencies, but the threats turned out to be "wholly false," according to the complaint. Police used cell phone records and video surveillance from Metro stations and buses to identify Stone-Coleman as the suspect. He was arrested at his Southeast D.C. home Wednesday. A call to Stone-Coleman's attorney in D.C. was not immediately returned.